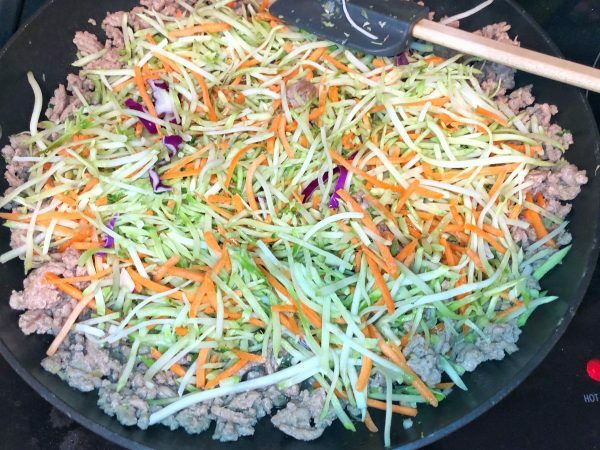 Did I tell you how much my family LOVED this egg roll in a bowl recipe!? Literally, there were no leftovers!! I still can’t believe this happened because my kiddos are not the biggest eaters, so most of time we have leftovers and then we end up eating “fridge food” for dinner a couple times a week because we don’t want to let good food go to waste. But, this recipe was thrilling because there were NO LEFTOVERS!! 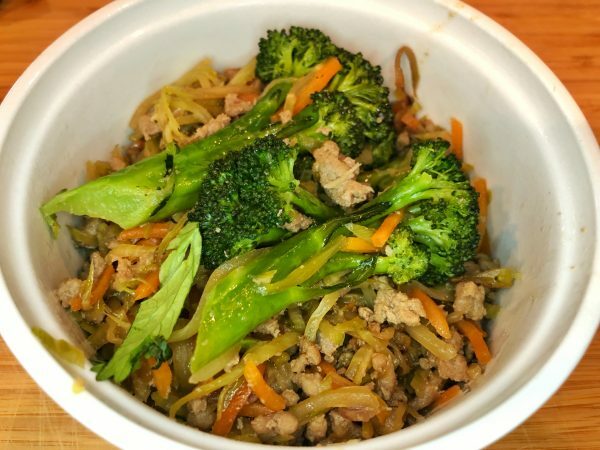 The original egg roll in a bowl recipe I read included ground pork, which I don’t regularly buy. I’m not the hugest pork fan (I really don’t have a great reason, it just isn’t my fave). I substituted ground turkey because I always have ground turkey in my freezer. 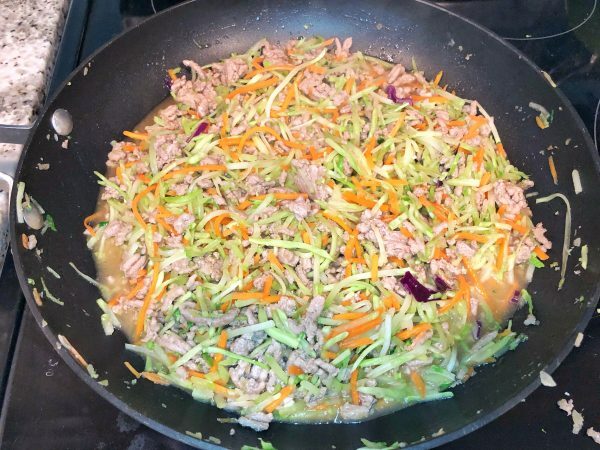 In my version of the perfect egg roll in a bowl for diabetics, I included a broccoli slaw. It came all ready to use in my produce section, it had broccoli, carrots and a little bit of red cabbage all sliced super thin. The original egg roll in a bowl recipe called for just plain old cole slaw mix, I knew my family may not eat the cabbage, but I totally got them to eat the broccoli slaw because they LOVE Broccoli:) So this was a winning substitution in my house. 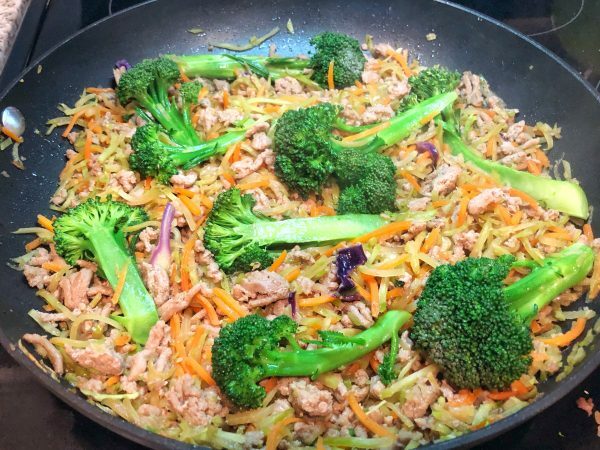 When everything was about cooked, I added some broccoli crowns from my garden:) I cut them thin, so they would cook quickly and it gave a little extra texture to the egg roll mix too. Everyone gobbled the whole thing up!! 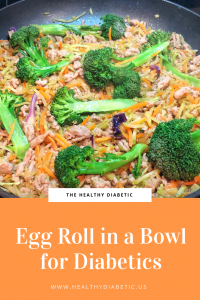 Egg Roll In A Bowl Recipe, this is the perfect Egg Roll in a Bowl for Diabetics. 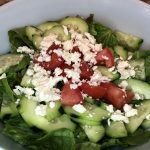 With Diabetes, there are tons of food restrictions, but this diabetic recipe won't leave you wanting anything else!! It's delicious and healthy!! 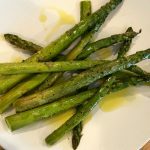 Total bonus: It's Paleo & keto friendly too!! 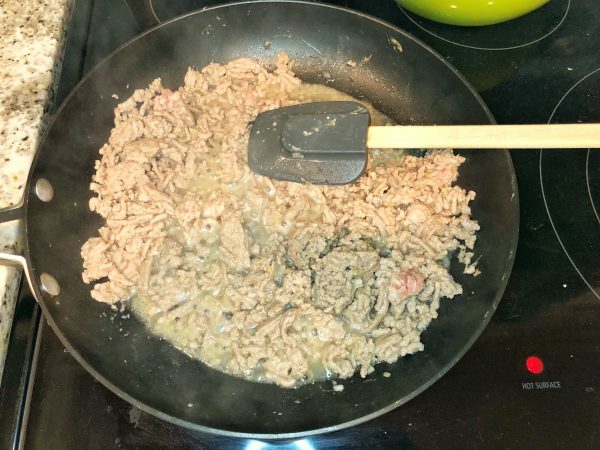 Add avocado oil & ground turkey to a large skillet. Start browning the turkey. Once almost brown, add garlic & ginger. Add broccoli slaw & toasted sesame oil and mix. Cook for 5 minutes or so. Add all the rest of the ingredients. Let simmer until most of the liquid is absorbed. Optional: Add broccoli. I had some in my garden, so I added it and cooked until tender.